Isopropyl Alcohol (also isopropanol, 2-propanol, or abbreviated IPA) is used for the decontamination of items such as gloves, surfaces, carts, counter tops, process lines, as well as many other applications found within cleanrooms and other controlled environments. Isopropyl alcohol is available sterile or non-sterile and in bulk qty, gallon bottles, spray bottles, and aerosol cans. Learn more about some special formulas below or contact us for other volumes, packaging, and/or options not listed. View our line of IPA presaturated wipers here. The Septihol family of alcohols offers a 70% USP Isopropyl Alcohol and 30% USP Purified Water Blend that has been filtered to 0.22 micron. 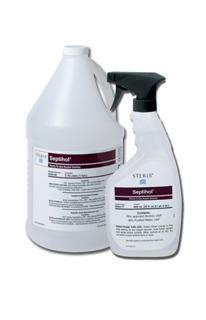 The Septihol Sterile line is gamma irradiated for sterility and is ideal for the removal of cleanroom process residues. It is double bagged for ease of introduction into aseptic areas. Both the sterile and non-sterile options are available in cases of (4) 1 gallon bottles or cases of (12) 22 ounce bottles with adjustable sprayers. The sprayer can be adjusted for either fine mist or course spray applications. DECON-AHOL Sterile WFI Formula is created with a blend of 99% USP Isopropyl Alcohol and USP Water for Injection (WFI). It is filtered to 0.2 microns, gamma irradiated, and double bagged. 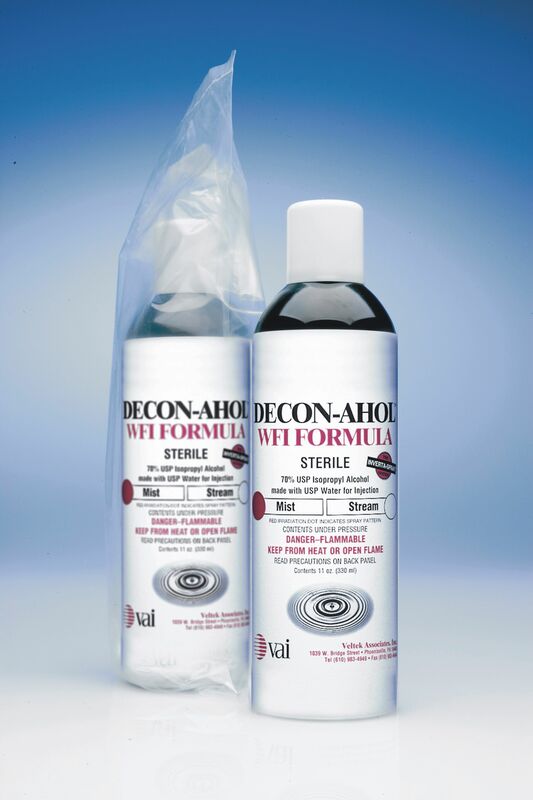 Available in 70% and 91% strengths, DECON-AHOL WFI Sterile comes in an 11 oz. aerosol spray (nitrogen propellant) and is fully tested to USP specifications. It is delivered with a lot specific Certificate of Irradiation, Certificate of Analysis, LAL Testing Analysis, and Sterility Report. With (24) bottles per case, both the 70% and 91% blends are available in mist or stream spray containers. All varieties are available as full case quantities only. Contact us about other volumes, packaging, and/or options not listed.